Shopping for a new FIAT 500e? The 2018 Fiat 500e is offered in one trim level. Your only decision is what paint color you prefer. The 2018 Fiat 500e is a fashionable way to drive an all-electric vehicle, but its comparatively short battery range and limited availability undermines its broader appeal. The 2018 Fiat 500e is the battery-powered companion to the Fiat 500 range and is sold in very small numbers in California and Oregon. Our sister-site, Green Car Reports, called the 500e a “compliance car,” which means Fiat only sells it to meet those states’ requirements for sales of zero-emission vehicles. The 500e borrows its looks from the 500, which borrows its looks from the Italian post-war icon. It’s a modern interpretation of a classic, and a good one by our eyes. The 500e doesn’t stray far from the 500 but gets its own front and rear bumpers, door side sills, and badges. The interior is cute without being kitsch, although its materials can feel hard and plasticky. The 500e draws motivation from an 83-kilowatt (111-horsepower) electric motor and 24-kwh battery. 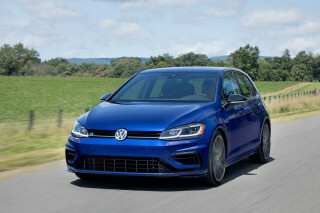 Its range is rated at 84 miles by the EPA, but at city speeds the 500e could improve on that number. The 500e also may be the most fun 500 to drive, according to us. 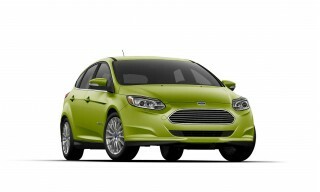 The batteries add more than 500 pounds to the overall weight, and the increased mass sits low in the car. That leaves the 500e feeling more planted, less top-heavy, and somewhat brighter. A single-speed transmission provides nearly effortless thrust, and it’s entertaining—albeit 84 miles at a time. A standard 6.6-kw onboard charger is the best feature on the 500e and cuts charging time down to four hours on a Level 2 plug, though DC fast charging is not available. The rest of the 500e is fairly mono-spec: 15-inch wheels, power features, air conditioning, synthetic leather upholstery, Bluetooth connectivity, and a 5.0-inch touchscreen for infotainment. Like the 500, the 500e doesn’t offer Apple CarPlay compatibility, which we think is an oversight. The 2018 Fiat 500e is quirky and cute; its charms have aged well. The 2018 Fiat 500e doesn’t stray far from the 500 formula that we like. The 500e features slightly different front and rear bumpers and bottom door sills, all for lower drag, and a handful of new badges. The interior is identical. The 500e stays true to the Fiat “cinquecento” formula of a small footprint and upright look. The boxy 500e retains its signature button headlights and small grille opening that are throwbacks to the post-war Italian cars. Inside, the 500e mostly succeeds to keep the same fun spirit. The 500e’s low price means that interior material quality isn’t top-notch, but a body-colored dash helps keep the car visually interesting. It’s our favorite way to drive a 500, but the 2018 Fiat 500e is more about frugality than it is about fun. Performance is relative in the 2018 Fiat 500e. 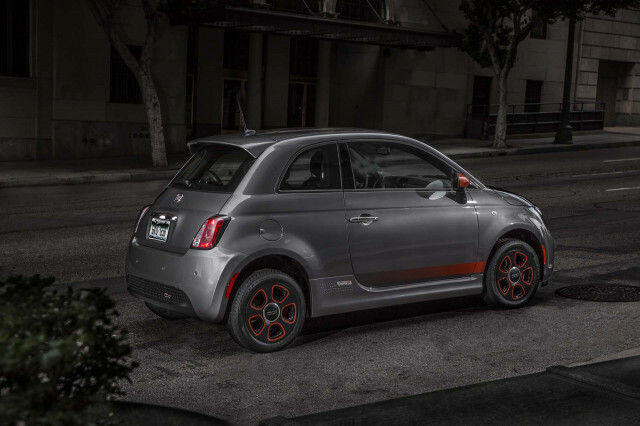 Although the 500e is likely our favorite way to drive a 500—more than the base 500 and 500 Abarth—the all-electric 500e is hardly a sports car. The 500e is powered by a 111-horsepower electric motor with a single-speed transmission. 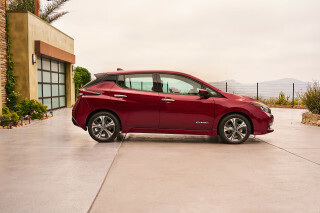 Its takeoff is effortless and smooth, which is typical for electric cars. 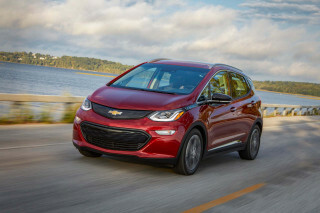 The top speed is limited to 88 mph, but we hardly suggest owners reach that for long periods—traveling at speeds that fast in electric cars chews up battery range. The 24-kwh battery powers the 500e for roughly 84 miles in combined driving, or more if its confined to urban-only duties. The 500e adds more than 500 pounds to a base 500 in battery weight, which is down low and over the wheels. In that way, it’s more weight in the right places and it helps the 500e feel flatter and more fun to drive than the regular 500, which can feel top-heavy. The 500e lacks the wonderful shouting exhaust note of the 500 Abarth, but it offers a better ride thanks to more give in the 15-inch tires with more sidewall and better damping. The 2018 Fiat 500e is small and cramped, and it’s an unwelcome reminder of when electric cars required compromises in comfort. The 2018 Fiat 500e doesn’t prioritize space or comfort more than efficiency. The 500e has a few key differences from the 500 in terms of comfort. Rear seat leg room shrinks in the 500e to 27.6 inches, which is roughly four inches less than the base 500. 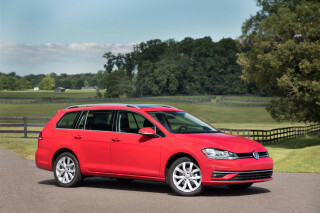 Cargo room similarly shrinks in the 500e to 7.0 cubic feet, down more than two cubes from the standard 500. From there, the 500e keeps roughly the same quarters as the 500. The 500e skips the roofless version of the 500 Cabrio, so head room may be an issue for tall drivers in the 500e. On the other hand, the 500e is by far the smoothest and quietest member of the whole 500 family, and more relaxing to travel in for any length of time. Overall, we’ve found the seating position to be more upright in the 500e than other small cars, which is a boon to outward vision, but it creates an awkward ergonomic issue with the flat steering wheel that tilts but doesn’t telescope. The 2018 Fiat 500e lacks official crash-test data. The 2018 Fiat 500e hasn’t been comprehensively crash tested by any major safety rating organization. Considering its small numbers and limited availability, that’s not likely to change any time soon. Although the 500e and 500 are closely related, the additional weight of the batteries (more than 500 pounds) means that the two aren’t directly comparable for safety. The 500e is equipped with a standard complement of airbags, including front and side impact airbags; traction and stability control systems; and active head restraints. Like the 500, the 500e skips active safety features such as forward collision warnings with automatic emergency braking, adaptive cruise control, active lane control, or blind-spot monitors. The 500e is equipped with a rearview camera. The 2018 Fiat 500e is breathtakingly simple to order for California and Oregon shoppers. Maybe too simple? The only thing shorter than the 2018 Fiat 500e’s wheelbase may be the time it takes to order one. 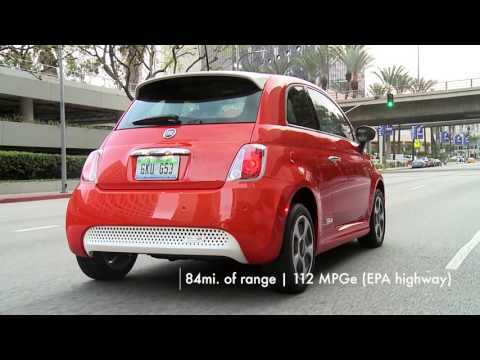 Fiat offers the all-electric 500e in breathtaking brevity for shoppers in California and Oregon. One spec, one option, pick a color. The 500e is equipped as standard with 15-inch wheels, synthetic leather upholstery, Bluetooth connectivity, power features, air conditioning, and a 5.0-inch touchscreen for infotainment. Like last year, the 500e offers a lone option for interested buyers. The so-called E-Sport package adds flashier 15-inch wheels with orange accents, orange mirror caps, and black accents around the headlights for $495. Orange or white exterior paint is a $500 option too. 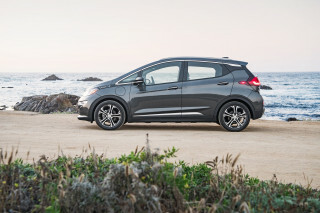 Other mainstream electric cars are more customizable. The 2018 Fiat 500e’s all-electric range of 84 miles is commendable but becoming outdated. The Fiat 500e’s range is limited by its overall size and, perhaps, the automaker’s attention. The 500e is equipped with a 24-kwh battery that can be recharged in four hours using a Level 2 charging station. Annoyingly, Fiat doesn’t offer DC fast charging in any form, underscoring its view of the 500e as only an urban runabout. Fiat hasn’t increased the 500e’s battery size since the car was new in 2012 and other automakers have added longer-range electric vehicles since then. 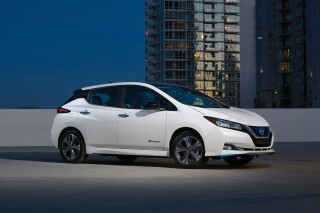 The 2018 Nissan Leaf is rated up to 150 miles of electric range, the 2018 Chevrolet Bolt EV manages nearly 240 miles. 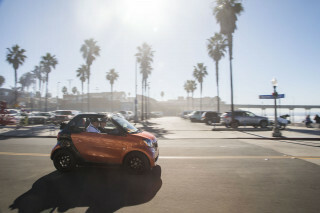 Only the electric Smart Fortwo has a shorter range than the 500e. It’s rated for 57 miles. Looking for a different year of the FIAT 500e?